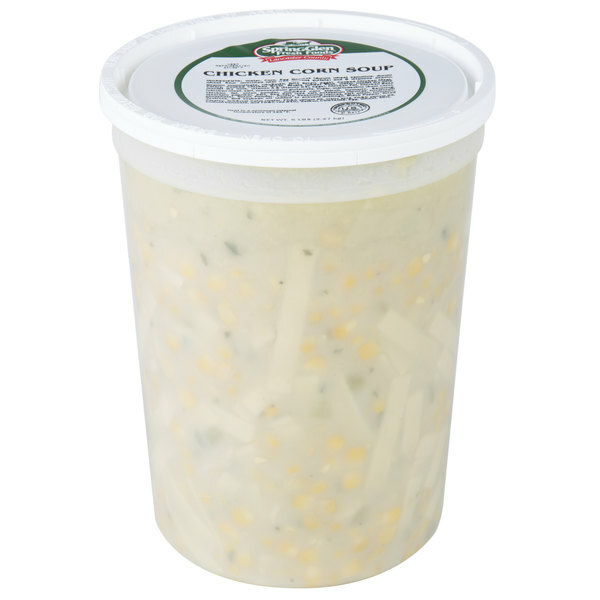 Classic savory broth, tender chicken meat, and corn combine to make this Spring Glen Fresh Foods chicken corn soup irresistible! This chicken corn soup offers a tasty and familiar flavor that's a worthy addition to the menu of your school, health care facility, restaurant, hotel, or diner. 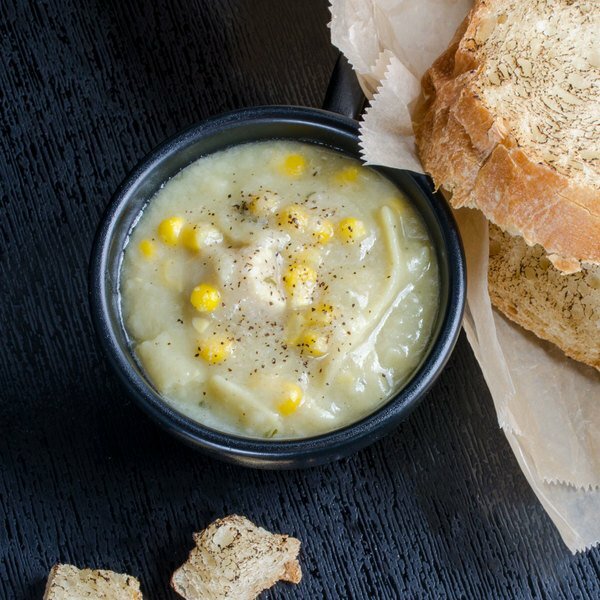 Featuring the hearty taste of cooked chicken with whole corn kernels, this soup will leave your guests full and satisfied, either served alone or paired with your favorite sandwiches or salads. With its homemade taste, this soup is a great way to quickly and efficiently provide great service to your customers while saving on kitchen prep time. This soup is ready to use right out of the 5 lb. container; simply heat up and serve! This chicken corn soup is perfect as a meal or appetizer. Located in the hills of Ephrata, Pennsylvania, Spring Glen Fresh Foods was established in 1942 with the original intent of selling the founding family's over-abundance of baked goods to neighbors. Since then, the business has expanded vastly and gained the reputation for producing only the freshest hand-prepared foods. Their original, long-established recipes are still used for their products today, and the quality is evident in every item from their deli salads, soups, and stews, to their side dishes and desserts. Combining straight-from-the-farm freshness with time-honored tradition, Spring Glen Fresh Foods provides the heartiness of homemade dishes without the hassle or hard work. Spring Glen Fresh Foods Chicken Corn Soup is rich and tasty. Chunks of chicken and sweet whole kernel corn in a rich, savory broth that will warm up your insides on a cold day. And, it's so easy to prepare, whether making one bowl or a whole pot. Your guests will never know you didn't spend the whole day slaving over a hot stove. Chicken corn soup is great and love the creamy texture and top notch taste. Easy to warm up and serve and it is a great price.